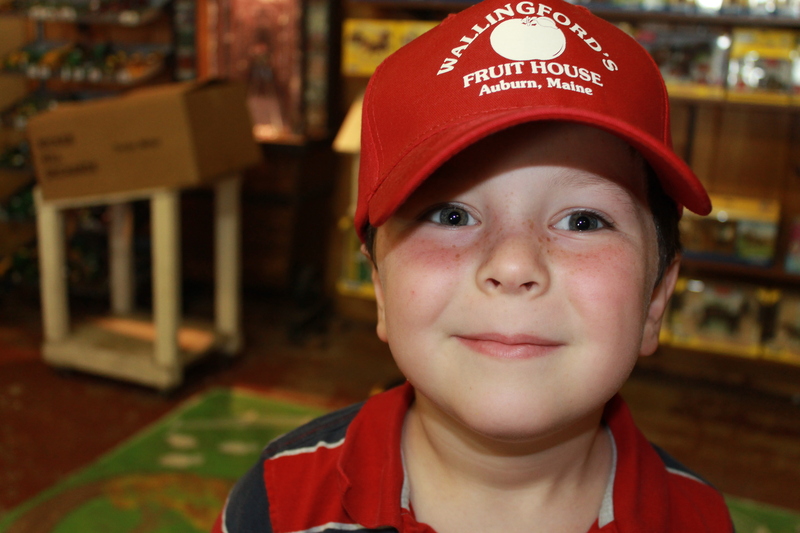 A fall trip to Wallingford’s Fruit House in Auburn is a Cute Potato family tradition, dating back to when DP was a wee lad. 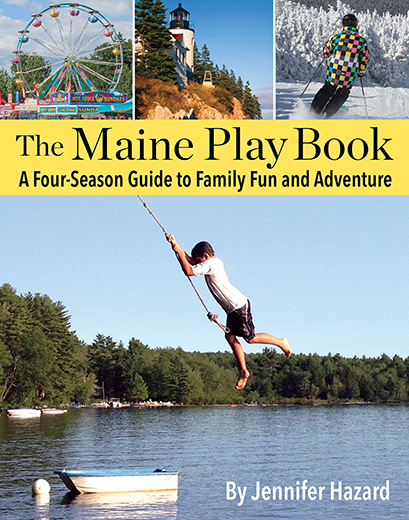 The space has changed over the years—there’s a big, backyard play area, a farm store brimming with toys and food gifts, and more cars in the parking lot. We go to the orchard to buy apples and cider, but our main reason for visiting is to indulge and enjoy Wallingford’s delicious homemade donuts. 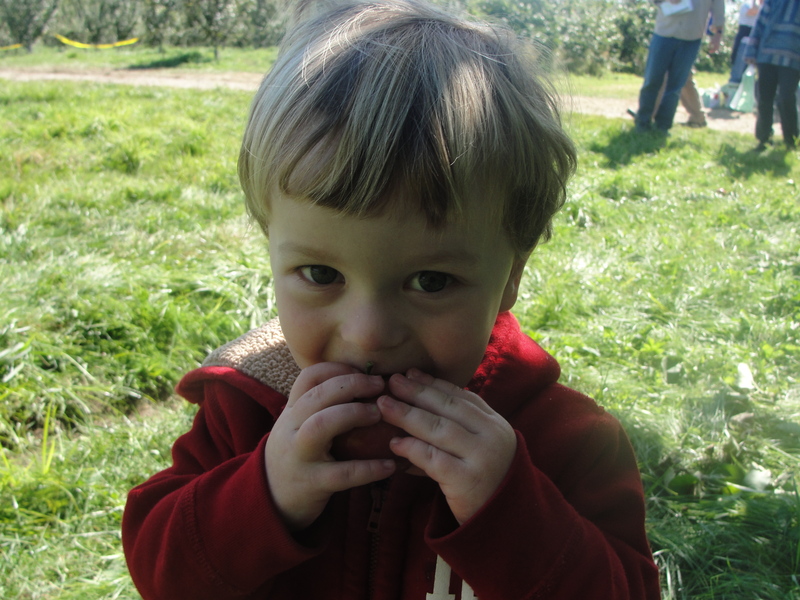 Two-year old CP#2 enjoying an apple from Wallingford’s orchards. CP#2 sporting a new cap in 2012.